Travelling across Europe, from the dark and sinister Transylvanian mountains to the charming seaside town of Whitby, Professor Van Helsing and his three amateur actors stage a life-changing, theatrical production of Dracula - hoping to establish, once and for all, the bloody truth. The result is a delightfully silly, fast-paced and faithful (-ish) adaptation of Bram Stoker's Gothic novel. 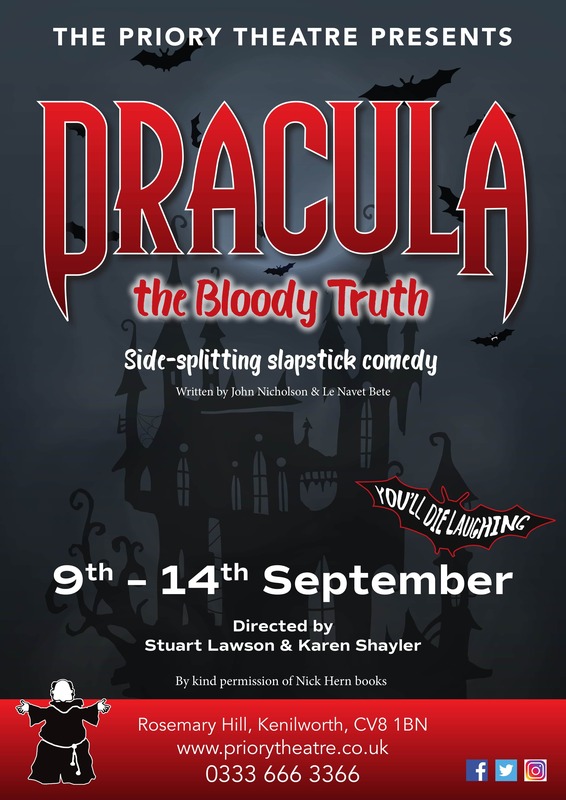 Performed by four actors playing forty characters, Dracula: The Bloody Truth is side-splittingly funny mixture of The Play That Goes Wrong, Noises Off and Monty Python. The main foyer and bar are accessible via a ramp. The stalls and the disabled toilet can be accessed by a lift. Patrons are reminded that the lift only goes to the stalls and not to the circle.